Thanks to fantasy author Carole McDonnell for stopping by and sharing the genesis of her new spiritual fantasy novel, The Constant Tower. “I had had a dream of a world where each morning the inhabitants of a city woke to find the landmarks and geography of their city changed as if someone had moved around a jigsaw puzzle. Except that, a tower was always constant. I didn’t write that story but I started thinking. In the end, I wrote a story where the world stayed put but people were tossed around all over the planet. So what is the Constant Tower, anyway? Aside from the means whereby my characters steer their longhouses? I generally write about religion and although The Constant Tower is not primarily a religious story, the tower does have a spiritual subtext. The Constant Tower is a tower that all see but few recognize. To some it seems a mere accretion of men’s bones, a rickety structure that has no ability to hold itself up, let alone hold up any who would walk on its steps. In many fantasy stories, the sought after McGuffin is far away, lost, forgotten. The ability to see it must be earned through great works (legalism), through much study (gnosis), or through some sudden enlightenment (nirvana). The Constant Tower is not like that. It is eternally present, waiting to be recognized. The journey to it is easy enough but for a hero who doesn’t see the importance of such a structure, the journey is difficult. The Constant Tower can be reached at anytime but it is unrecognized and belittled. When I started writing The Constant Tower, I wondered how I could depict a search for something that is already there, that is close at hand. What keeps people away from the spiritual journey? In the case of Psal, my main character, he simply does not believe in the supernatural or God. He doesn’t believe in The Constant Tower, therefore, he doesn’t search for it. He’s a kind-hearted atheist who is not going to search for supernatural reasons about why nights on Odunao are as they are. The idea that it is a theological curse is laughable to him. He is patient and patronizing toward the belief of others, especially the beliefs of his friend and fellow studier, Ephan. He has studied the folklore and beliefs of the clans of the planet Odunao but he will not waste his time on them, The Constant Tower, or the Creator. So, the idea of communicating to a far-off Creator is not important to him, and even if he encounters supernatural entities or happens upon a supernatural occurrence, he is well-armed against accepting them. Therefore Psal has to see. He is unlike Ephan who is the traditional hero of The Constant Tower. 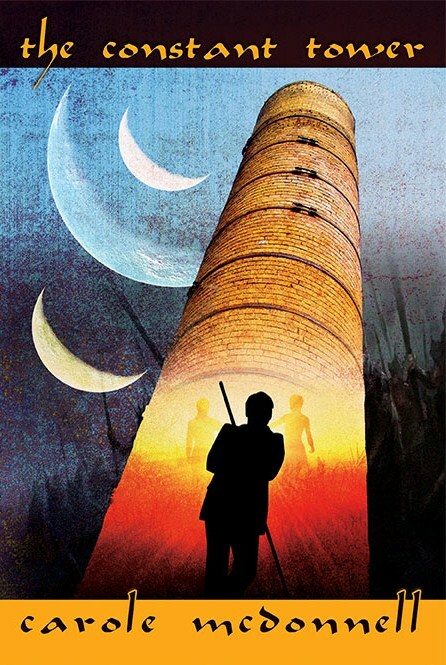 On the planet Odunao, Ephan, is the historical hero of The Constant Tower. In my book, I didn’t write about Ephan’s journey. I wanted to write about his friend, Psal. Ephan sees, but doesn’t wish to see. To see the tower, to see the supernatural demands too much for him. So Ephan wills himself not to see.